88% of people trust online reviews as much as they trust personal recommendations from friends or family. Consumers read on average 10 online reviews before making a purchase. 57% of consumers will only use a business if it has a 4-star rating or higher. 92% of B2B buyers are more likely to purchase after reading a review. UpCity has reported on the importance of digital word-of-mouth countless times, but being truly “recommendable” is about more than just a star rating. Businesses today need to not only provide excellent service at the point of conversion, but they must also continue to engage customers and provide value throughout the entire customer lifecycle. For those companies looking to tap into the power of recommendability, it’s essential to focus on more than just generating reviews. 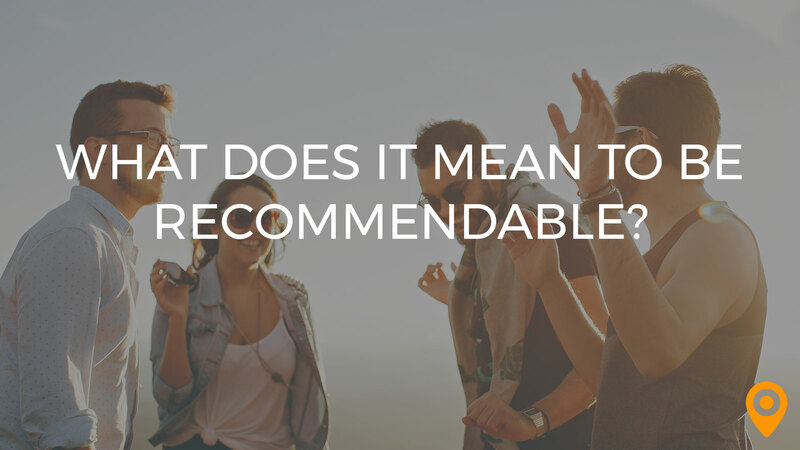 So what is recommendability and why is it so important? The funnel is one of the most ubiquitous diagrams in business, explaining how companies acquire customers and pass them through the various stages of the sales process: first, make customers aware of your product, then engage prospects, and finally convert. Its widespread use is a testament to the funnel’s conceptual efficacy; however, more and more companies are beginning to retire the funnel in favor of a new model, one that better encompasses the cyclical nature of a modern business relationship. With the funnel model, you’re limited by the number of new leads you can generate since there’s absolutely no focus on nurturing the client relationship after conversion. While closing as many new deals as possible is great for your bottom line, it’s not always the best decision for your company’s future growth as a whole. The flywheel upends this dynamic and places customer satisfaction and brand reputation at the forefront of the equation. Being recommendable is more important than ever in the age of the flywheel: in many ways, a customer’s monetary value is often far exceeded by the value of their advocacy. If those are the factors that drive your business’s growth, then where does recommendability come into play? Put simply: recommendability is the axle on which your flywheel spins. If you’re not recommendable, your flywheel won’t budge. At its broadest level, being recommendable means placing the customer experience and the potential for customer advocacy at the forefront of everything you do. More specifically, it involves attentive management of your online reputation, a willingness to adapt and provide exceptional service in every instance, and proactive cultivation of every client relationship. Sounds overwhelming, doesn’t it? It doesn’t have to be. Being recommendable means always maintaining an honest and open mindset when it comes to improving your processes and offerings. Before you can begin to consider how to improve your recommendability, take a step back and understand how your company is being perceived from your customers’ perspective. This can be achieved in a number of ways, both qualitative and quantitative. For those businesses with an established CRM, analyzing customer interactions and determining where customers are most likely to churn out of your sales process is a straightforward way to identify necessary improvements. 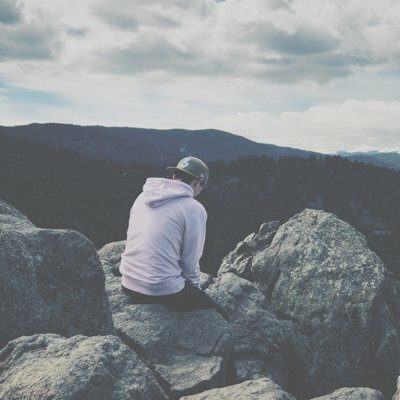 One of the most common pitfalls of growing companies is departmental misalignment, so understanding how your various teams interact with prospects and customers and communicating your brand story is crucial. Churn data can help tell one side of the story, but that’s not to devalue the importance of anecdotal evidence. Part of being recommendable is showing your customers that you’re receptive to their feedback. From the first touch, you should cultivate an attitude of respect in which both sides feel comfortable expressing potential concerns. When the conversation between you and the customer falls flat, you risk applying friction to your flywheel and losing the client. Don’t be afraid to ask clients directly for feedback and always accept constructive criticism in a positive light. Keeping a positive and receptive attitude towards change is only half of providing the highest quality service; the other half is cultivating relationships through great work and offering value to the customer throughout their lifecycle. It goes without saying that every deliverable, every project should be handled with the utmost care and precision. Companies that provide subpar quality rarely last in today’s cluttered market. Being truly recommendable means focusing on the spaces between. Demonstrate your expertise and offer value to your customers when they least expect it. The most successful companies today aren’t afraid to invest time and money into developing client relationships through informative content marketing, helpful newsletters, recurring catch-up calls with existing clients, and more. Remember: your job doesn’t end at conversion. On the contrary, the bulk of your work begins when the project ends. With each client interaction, be sure to ask yourself how you can continue the conversation and preserve your flywheel’s momentum. Cultivating lasting and meaningful relationships with your customers will inevitably lead to positive attention. Human nature drives us to communicate with each other, share new information, and collaborate together; the Internet has only exacerbated this innate desire to share. The UpCity Marketplace alone contains more than 6,000 reviews that have been gathered in a little under three years! No conversation about what it means to be recommendable would be complete without touching on the importance of reviews. According to recent estimates, as many as 90% of all consumers consult online reviews before visiting a business, but only 33% of businesses are actively seeking out and collecting reviews. For businesses looking to increase their recommendability, positive reviews not only attract potential customers into your flywheel, but they also promote your brand story and help keep your name in conversation. Equally important, however, is ensuring that your business is as visible as possible online. Your website is the centerpiece of your online identity, and it’s one of the first places that a prospective client will look. Your site should quickly and clearly express your unique value proposition, while also offering value to visitors within the first few seconds. Provide a free audit, offer an instructive ebook, or create a video that explains the value of your work. The most important thing is that every visitor leaves feeling satisfied and heard. Beyond your website, listing your business on as many reputable online directories as possible helps to increase your visibility and demonstrate your credibility to new audiences. At a bare minimum, every business should have a presence on Google My Business, Facebook, and Yelp; however, the directory sites you submit to will differ depending on your industry and the time you have available. Beyond the obvious candidates, vertical-specific directories like UpCity offer additional badges and embeds to help display your credibility as social proof across the web, and can provide more targeted lead generation. No matter how or where a potential customer looks for your business, they should find you with ease and be amazed at all of the positive things your clients have to say. So, what does it mean to be recommendable? It means providing great service. It means having a glowing online reputation. It means being as visible as possible. Most of all, being recommendable means committing yourself and everything you do to your clients, valuing their advocacy more than their monetary value in the moment, and understanding that to succeed today means keeping your business constantly in the conversation. If you’re a marketing service provider looking to increase your recommendability, create and optimize your profile on the UpCity Marketplace. At UpCity, your profile will have the opportunity to be viewed by over 225,000 businesses that visit our site monthly looking for marketing services nationwide and locally. Get more recommendable!